Welcome to Balitrekking.info - information all about trekking in Bali. Morning in Bali has a fresh atmosphere and beautiful scenery, it's made us create an idea to arrange adventure tour like trekking in Bali. Combine sport activity adventure, education and fun. We design this special Bali trekking activity to whom like adventure and exercise. 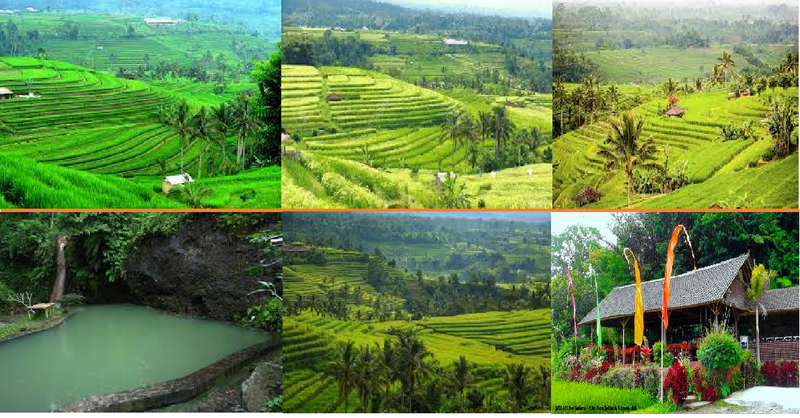 We have Rice field trekking Walking Tour, Bali wilderness and Jungle trekking Tous Package, Waterfall Hiking Tour to Sambangan Village, Sekumpul Waterfall, and Munduk Waterfall. It will be our great pleasure to welcome you on a trip to MAYONG Village in exploring the natural beauty and traditional rural Balinese life. 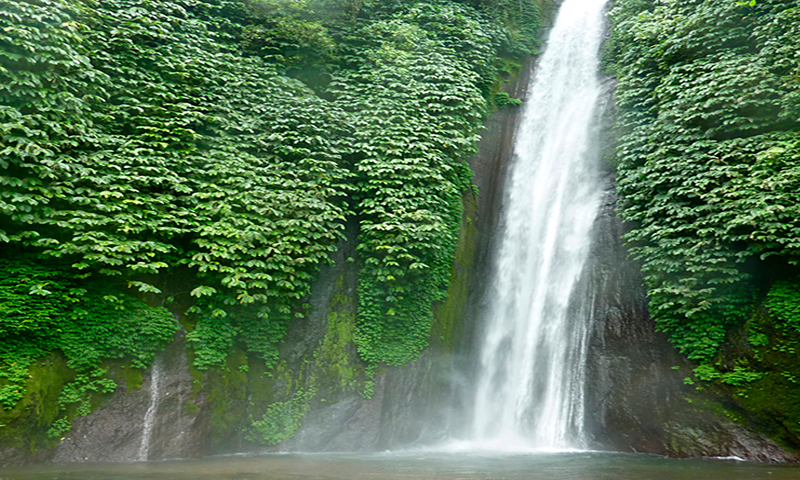 Mayong village is situated on the route of Tourism area of Bedugul – Munduk towards Lovina or West Bali. 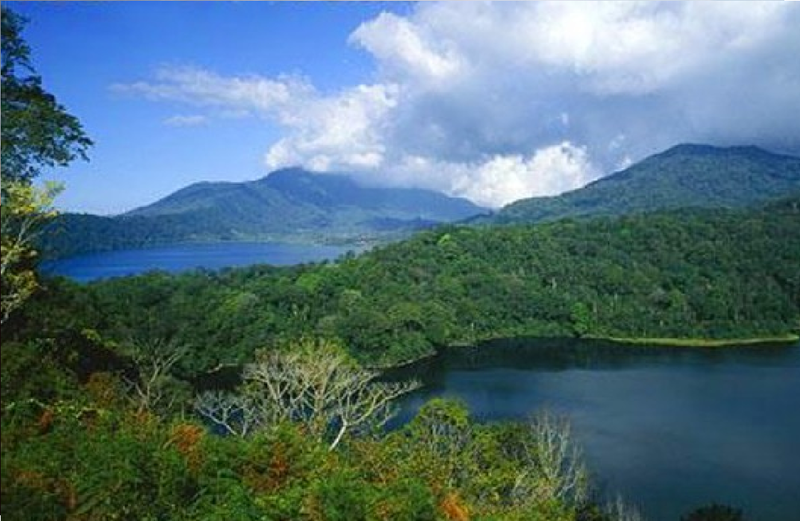 It is 20 kilo meters south west of Lovina which is away from the busy world. 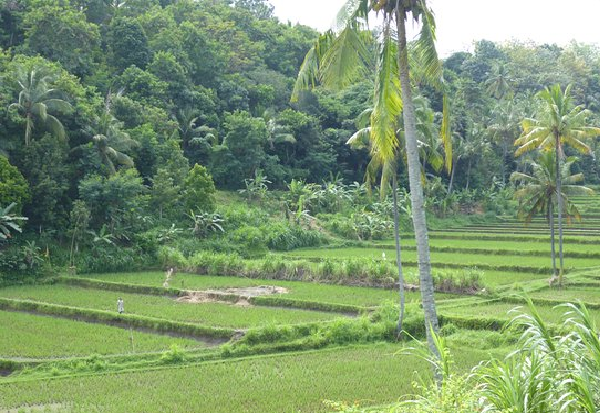 Mayong constitutes a small village which is situated among the rice terraces and tropical fruit trees. The village keeps its traditional way of life such as traditional farming on the rice fields, cattle breeding, organic growing fruits, vegetables and daily routines of Balinese Hindu offerings and ceremonies. Historically, it is estimated that Mayong village has existed since centuries when a Hindu Priest from Java came to Bali. This can be proved by the existing historical relics and some forms of sarcophagi which are stone staircases as a place of worship to God. Mayong village which is geographically situated with plateaus, valleys and natural atmosphere of the countryside provides special attraction for visitors. 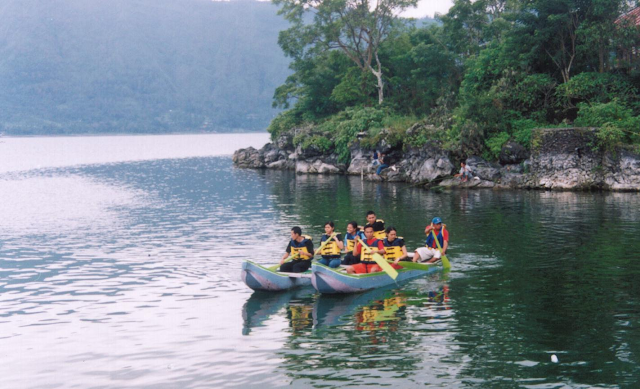 Therefore, it is ideal to develop natural attractions ranging from mild to adventurous trips. Natural conditions will attract the explorers and they would be impressed and amazed to witness the authenticity of the tropical nature, tradition and freshly cool air. 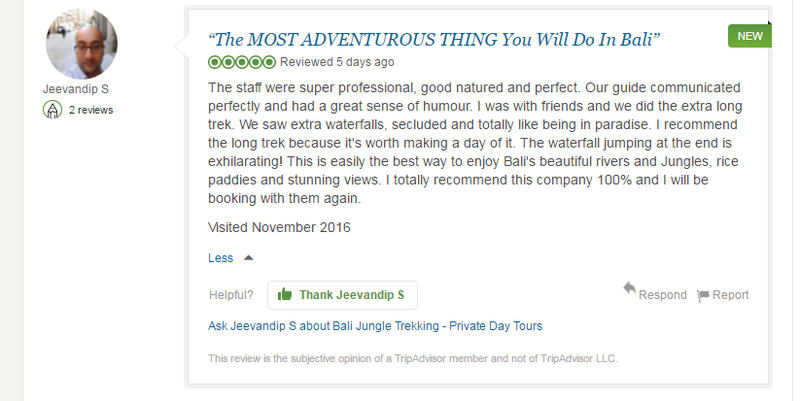 Bali Jungle Trekking also applies and takes the popular trend concept for tourism which is called Eco & Green Tourism that continues to grow. Beside that, the tourists are also invited to do social activities and care as well as environmental preservation during the trekking trip. 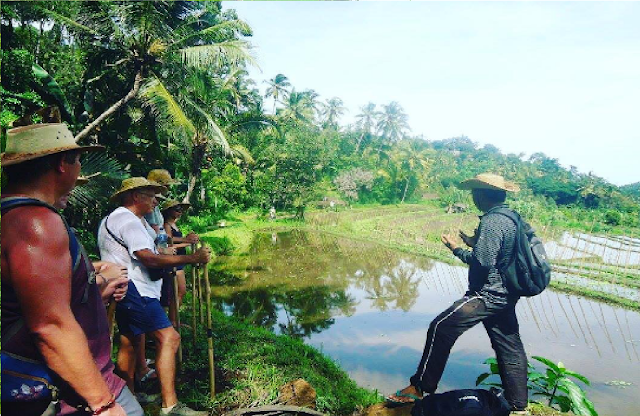 The term ECO TOURISM or ECO FRIENDLY – currently takes the concept of Community Based Tourism development which is expected and believed that it can maintain harmonious development due to the synergy between tourism business and community together in maintaining the development process and minimizing the negative impacts against the cultural and social life of Balinese people. The cost for this Private tour Experience is USD$49/person for minimum 2 persons booking. 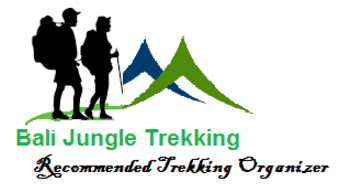 The cost includes: Returning transfer with a private air-conditioned car, Private Guide + Porter, All trek equipments, Mineral water, some local fruits for your refreshment during the trek, Wet Tissues, Donation to the village, and Lunch. 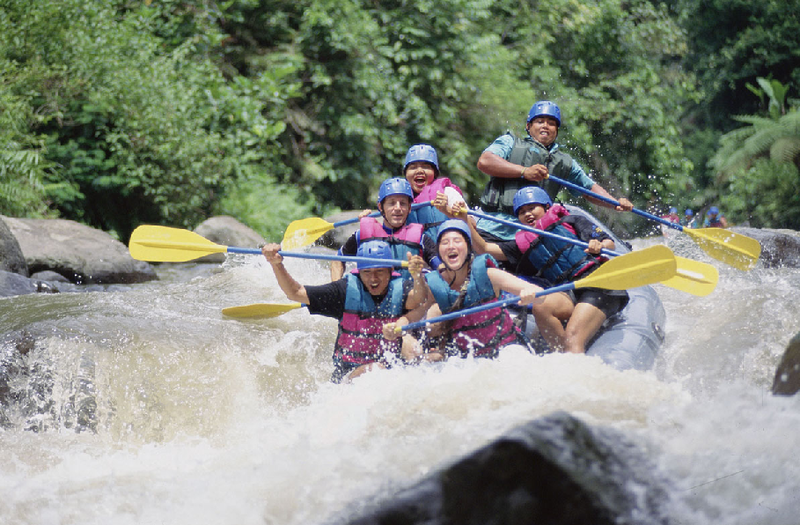 Telaga Waja Rafting Adventure, arriving at the Telaga Waja river you will register for Rafting. You are also greeted with a welcome drink. Once you are ready your Rafting local guide will take you to the river and the boat. Along the river that had a distance of 17 km you will be presented with a view of rice fields and beautiful woodland. Rapid river level in the Telaga Waja between 3-4 and has a challenging spot that droop 4 meters. You are also going through Waterfall on the cliffs along the river. While your driver will drive towards Rafting finish point and waiting for you there. After completion of your rafting activities you will enjoy lunch. When you’re done enjoying lunch our driver ready to take you back comfortably and safely to your hotel. Leave a note on your booking form to choose one of the places for rafting. 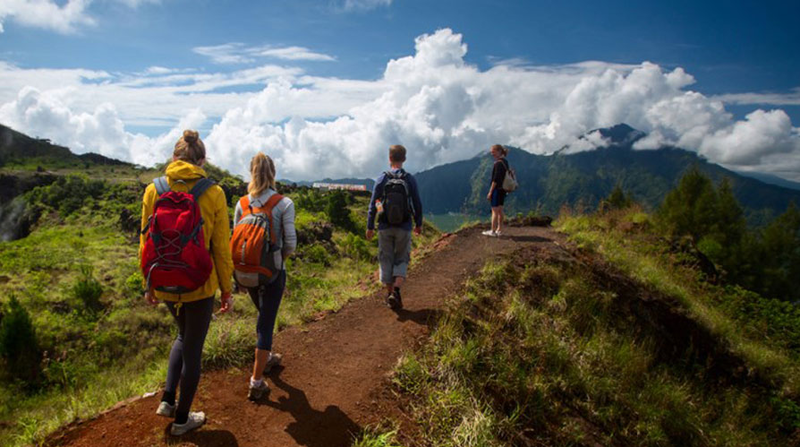 In This Hiking tour We will lead you to exploring the most beautiful rice field in Bali, the widest Rice terrace in Bali, we will walking on it and During our trip we will walking for about 3 hours to exploring this amazing rice terrace. During the trek our Local guide will share some information about the local culture, local people activities, and Traditional water irrigation. And during our rest at the central of Rice field of Jatiluwih, our Guide will give you fresh coconut water for refreshment, after the trek we will go directly to Local Warung for lunch, then continue to Nature Hot spring to soaking your body, it's will refresh your mind and refresh your power. 09.05 am - Preparation, and before we start the trek, our Local Guide will serve you Coffee or Tea + Balinese Cake for you. 09.30 am - Start The trek - Walking thru the Rice Field, River Side, and Tropical Plantation. 12.30/13.00 PM - The Trek finish and then continued to Having lunch at Local Warung, and taste a local Food. What you should bring when planed to do Jatiluwih Walking Tour ? USD$45/person, ( Minimum 2 persons), included return transfer with private air conditioner car, Private Guide, Trek equipment ( Trekking Stick and Hat), Mineral Water, Donation to the village, Coconut Water, Coffee or tea at local house during the trek, Entrance fee to Hot Spring and lunch at local restaurant. Note : Our Service is Private, here we will arrange Private Local guide, Private Car + Driver for you, it's for your best experience. so if you have your own itinerary after the tour, we will happy to arrange for you, as long it's still on the same direction. 09.00 am - We arrive at our Trekking Point then we firstly do registration. 09.10 am - Start the trek from Bencingah Temple, firstly we will go down follow the stair , then visiting Tamblingan Ulun Danu, our Local guide we share bit information about this Temple, from the story till the specific function of the temple. 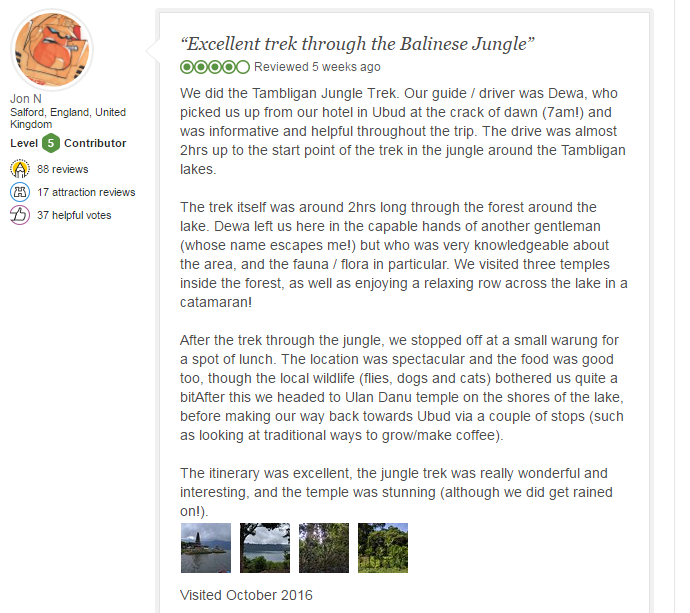 then we will continue to entering the jungle more deaper to visit Buyan Lake, we will walking thru proteced rainforest jungle, then we walking around the jungle till we arraive at Dalem Temple, where the Canoe waiting for us to drop us to finishing point by croosing Tamblingan Lake. 13.00 - The trek finish then we continue for lunch at Twin Lake Local Warung, where we can having lunch while see the Beautiful view of Two Lakes. What you should prepare before start the Trek? 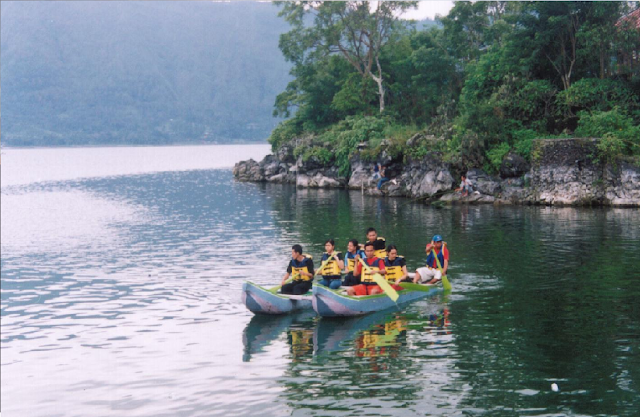 USD$59/Person with Minimum 2 Persons, Included : Return Transfer with Private air conditioner car, canoeing , Lunch at twin lakes view restaurant, Mineral Water, Guide, All Trekking Equipment, And Entrance Ticket to The Tamblingan Sacred Jungle plus Ulun Danu temple, and some refreshment of Local Fruit during the trek. 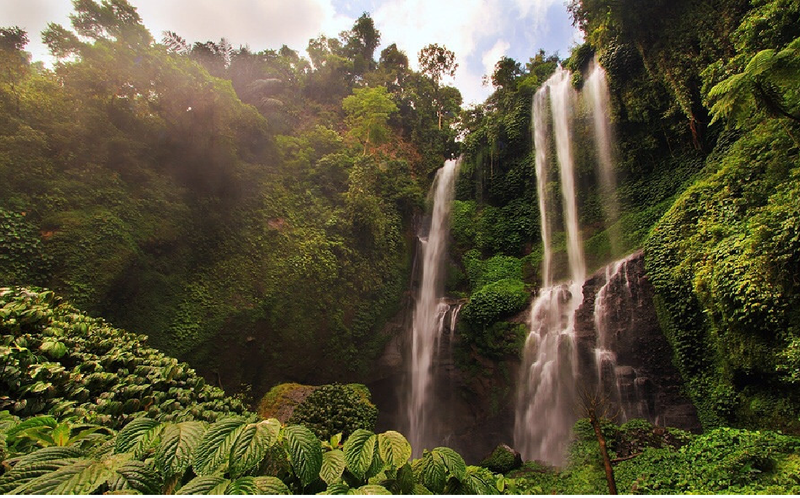 Hiking tour to Sekumpul Waterfalls is one of the packages that we offer to you to gain experience about the waterfall prettiest there is on the island of Bali. This waterfall is consist of 7 small waterfalls, also this waterfall is the highest waterfall in Bali. 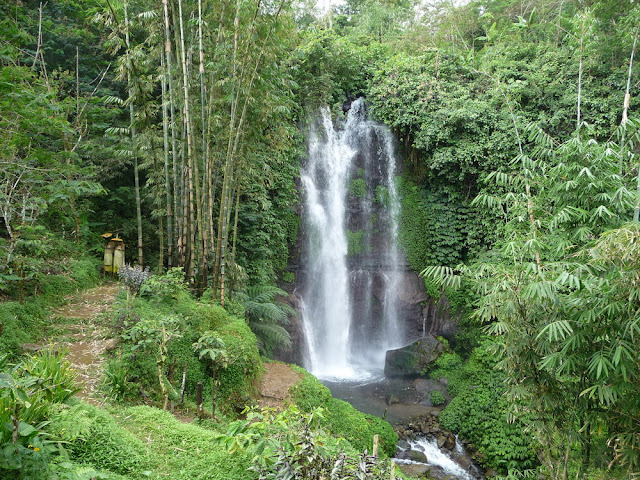 In this program we not only take you to this waterfalls, but we will take you to walking around Sekumpul Green village where you will walking thru the Tropical Plantation, Rice terrace, entering the sekumpul village more and more, also during our walk we will see amazing green hills view. Our Local guide we will give some local fruits, Refreshment of Fresh Coconut Water during the trek, and Local Food For lunch. 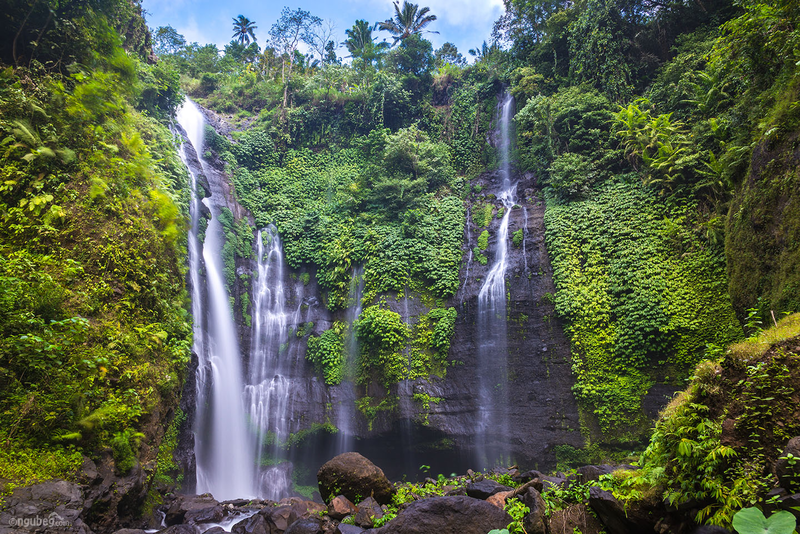 This waterfall is located in the hidden village named Sekumpul village , this village located about 2.5 hours’ drive from Guest area like Kuta, Legian, and Seminyak. 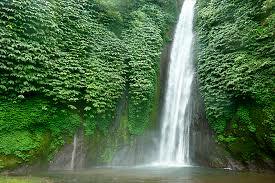 The named of Sekumpul in the language of Indonesia, namely collection, which has the meaning of Combination of several waterfalls. 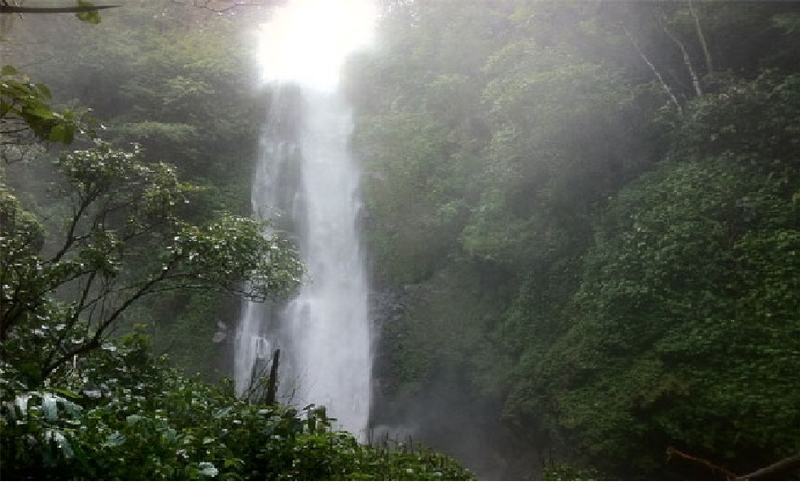 At this place we can find 7 waterfalls are composed of 2 adjacent places is about 200 meters away. First on the left side we find two waterfalls on the second location we could find a source 3 waterfalls. Second place this waterfall lying side by side has a height of approximately 100 m and discharge water is different. The second waterfall has a different spring, where water falls on the left while the spring water is sourced from the waterfall to the right (higher) sourced from the river. In the rainy season, the waterfall on the left stays clear because it is sourced from a spring while the waterfall on the right will Brown murky. The waterfall is very clear and cool feel on the skin. So people are very welcome to take a dip in the water jewel. Not to mention the beauty of nature around us is so green, quiet and unspoiled. 10.00 am - Start The trek - Firstly we will walking up for about 10 minutes, then we will walking thru the rice field, Tropical Plantation, walking thru Ambengan Village and Hidden park of Sambangan Village, after 1 hours walking we arrive at Blue Lagoon Sacred garden, where you can swiming, we will give you 30 minutes here, since we have to continue our Trip to next waterfall for the main attraction Jumping and Sliding in the waterfalls. Kroya Waterfalls is for Sliding, Kembar and Pucuk Waterfalls is for Jumping. And we will also serve you local food for lunch, so here you can having lunch while see the waterfall and see some people do Sliding and Jumping in the waterfalls. 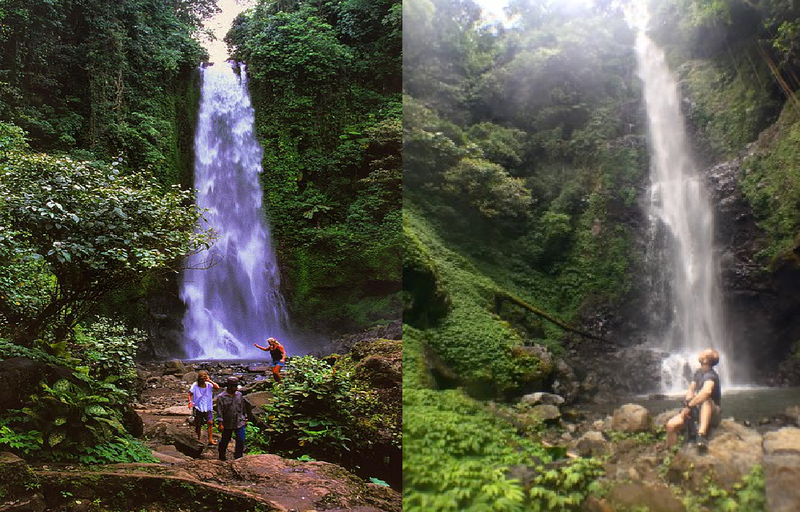 Aling-aling waterfalls is the last waterfall that we visit. What you should prepare for this Hike? 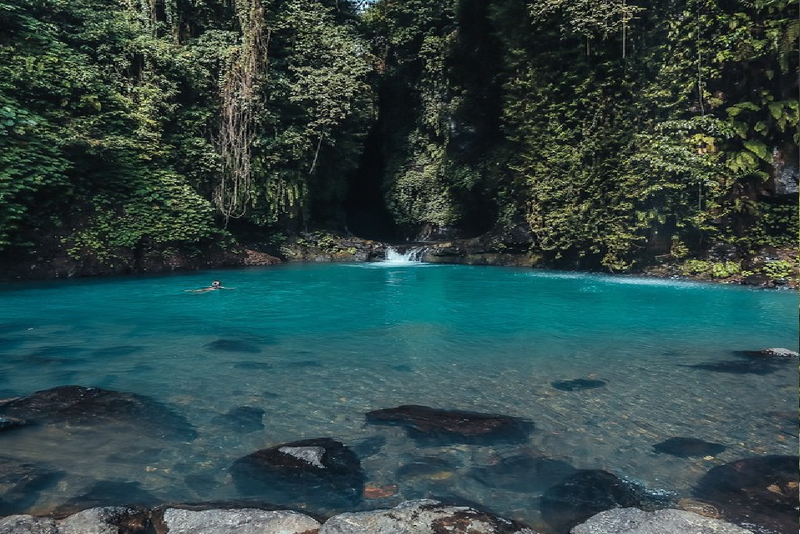 USD$53 /Person with minimum 2 Persons – Included : Private Professional Guide, Return Transfer with Private air conditioner car, Lunch Box ( Local Food ) , All Trek Equipment for Jumping & Sliding, Entrance fee to the waterfalls, Mineral Water and Refreshment of fresh Coconut water). 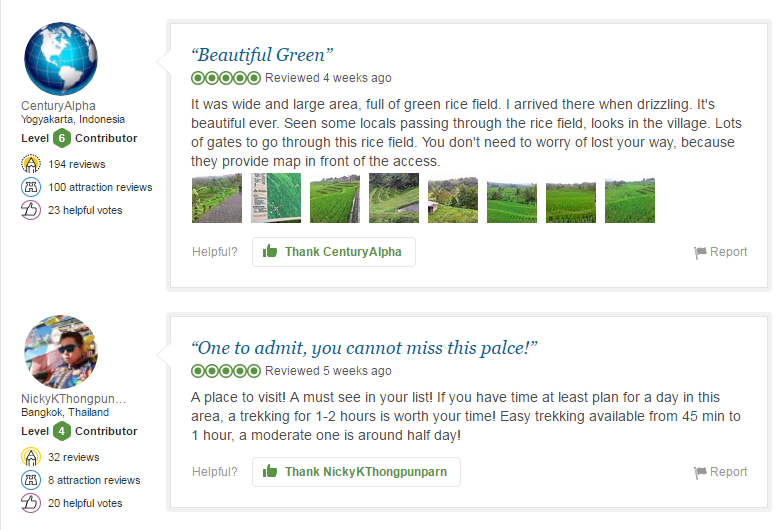 Note : This Service is Private, so we arrange Private Car + Driver + Private Local Trekking Guide for you. 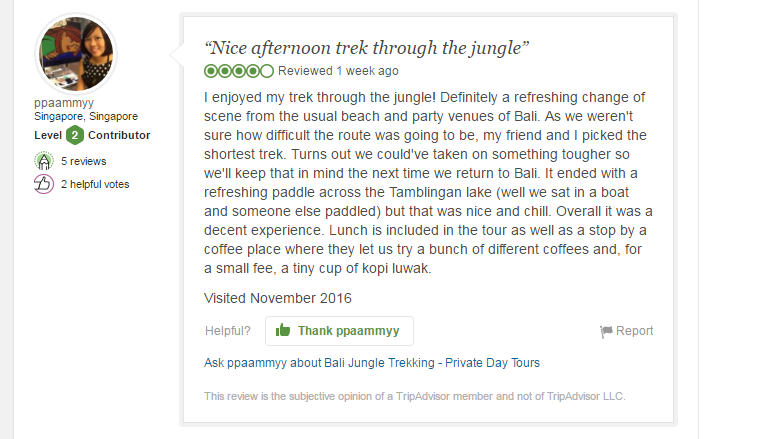 Please email to info.balijungletrekking@gmail.com or contact +6285792138431 if you would like to Book this package. Mt Abang Sunrise Jungle rekking is a climbing tour to third highest mount after Mount Agung and Mount Batukaru in Bali. 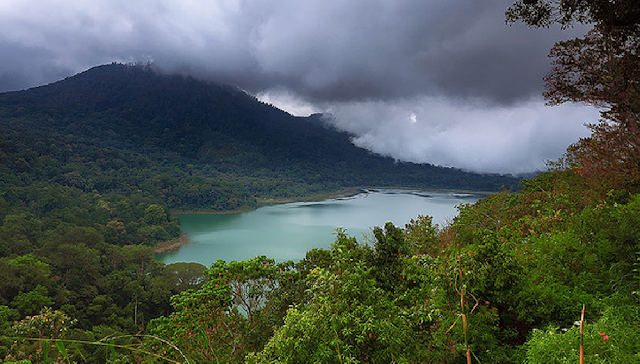 Mt Abang is located in the sub district of Kintamani, Bangli, Bali Province which has an altitude of 2,152 meters above sea level, take about 1 hour from Ubud and 2 hours from Kuta, Seminyak and Legian. 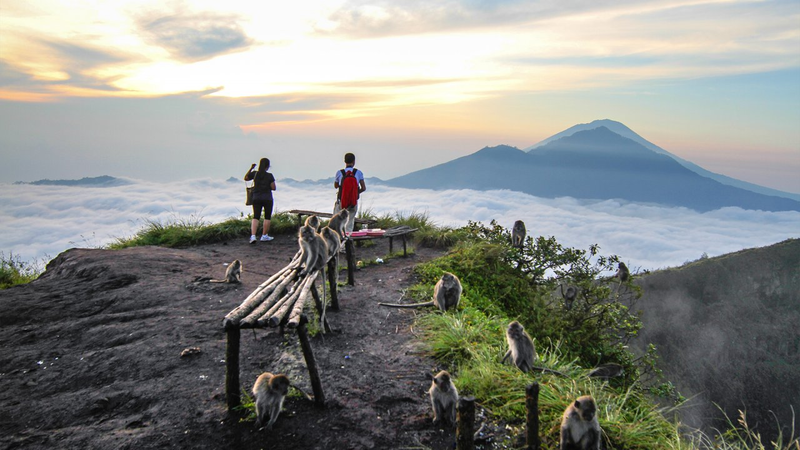 Mount Abang is located close to Mount Batur and at the West of Mount Agung. 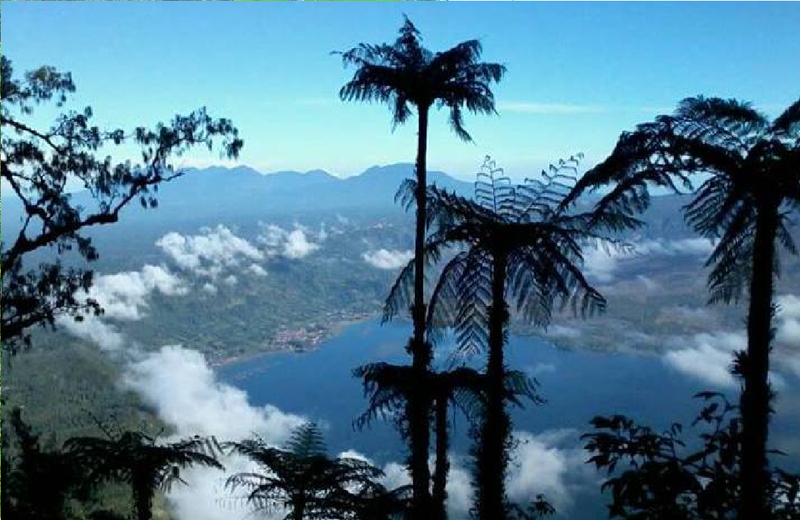 Mount Abang is the highest peak point of the caldera embankment that surrounds Mount Batur caldera which covers 13.8 x 10 km. 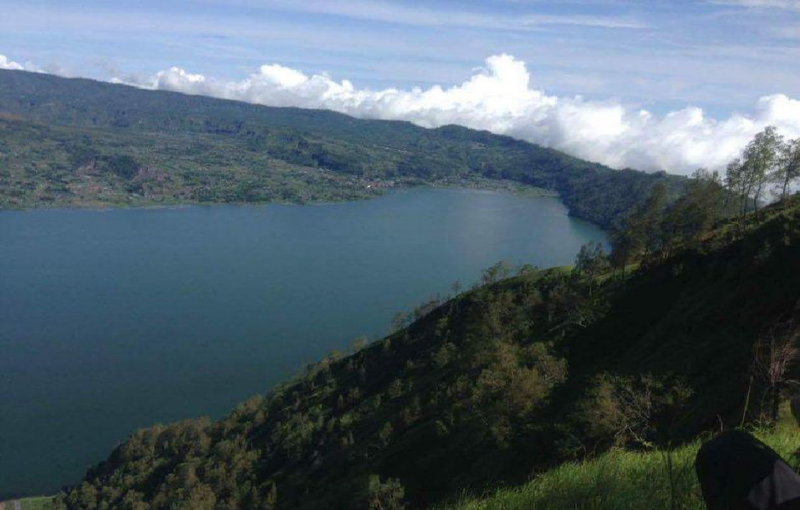 Between Mount Abang and Mount Batur, there is Lake Batur with crescent moon shape. 03.15 am Arrive at Mount abang Meeting Point with Local Guide, then our local guide witll do introduction and safety procedure briefing, then Our driver will drop you to Starting Point, it's just take 5 minutes drive from there. 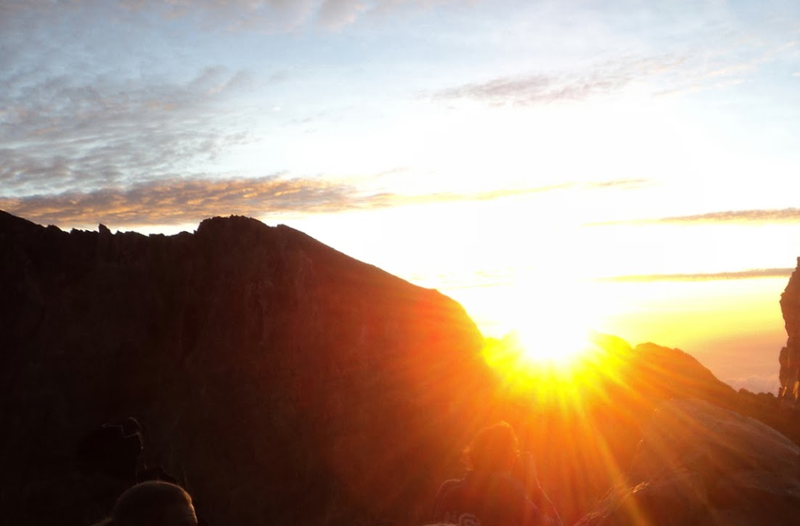 06.45 am Arrival at the peak, were we witness the spectacular view. 06.25 am Enjoy our breakfast. 07.30 am Begin our descent to Parking of Mount Abang, the finishing point of our trek. 09.30 am Arrival at Parking of Mount Abang and board car. 01.00 pm Return arrival at your hotel. Inclusion of Mount Abang Trekking Package if you book thru us. 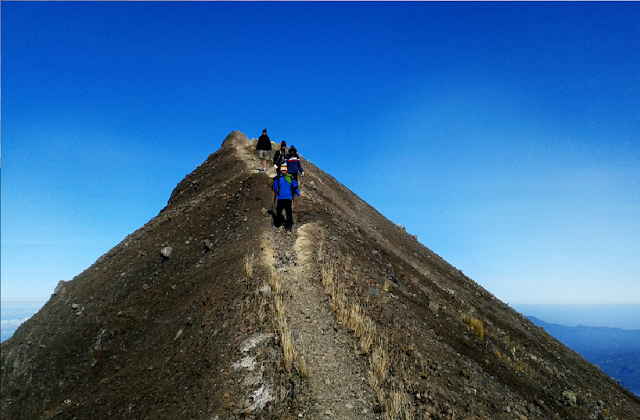 What you have to be prepared before climbing Mount Abang? First we will start to visit Taman Sari temple the ancient temple with natural spring water and then continue walk experience through quite village back roads and small jungle to Bukit Temple, on the way you may see many kind of plants like cocoa, coffee, Tamarin, soursop. etc.. Your adventure will be continued by trekking rice field where you will see all farmers do their rice field. 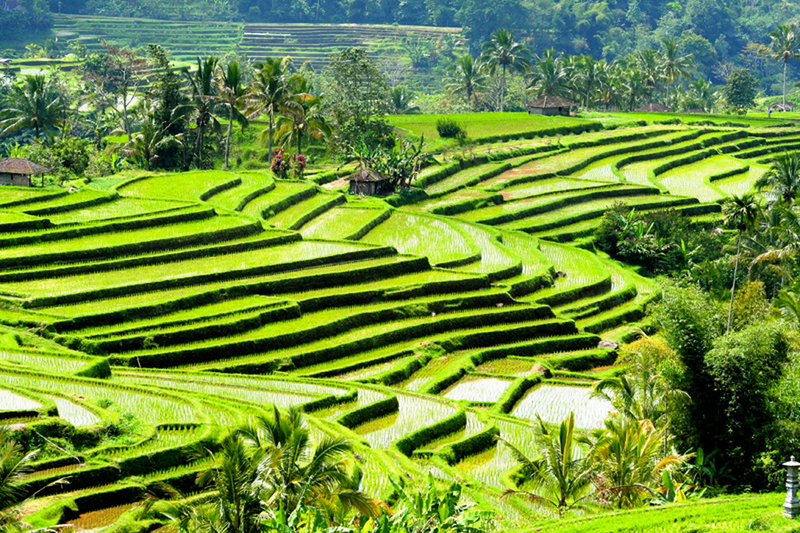 The rice field residing in oblique plain which has been made into many small rice terraces so that it is very beautiful scene, with many little birds chirping, also you can see Balinese traditional irrigation system. !!! Optional : you can do spa after trekking !!! Tamblingan is a natural Proteced bali rain forest, with many multifarious flora, fauna and beautiful lake. Going to the cool and comfortable place where is so far away from noisy and bustle, join in the middle of jungle which is full of various flora and fauna with fresh air and panorama, bird sound, morning dew, and then continues to the Tamblingan Lake and get adventure with traditional woods canoe with friendly Balinese resident guide. 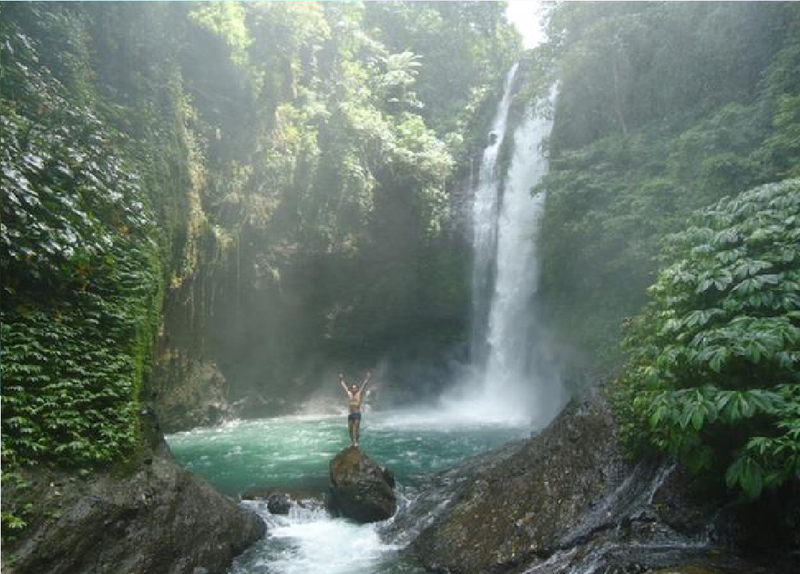 the adventures will very amazed with a long way of the forest with beauty of Bali natures. It will be difference and be an unforgettable of your vacation in Bali. To get lunch it’s easy, there are many restaurant outside the forest. During the Trek we will aslo will visit some old legend temple, the temple located in central of the jungle. 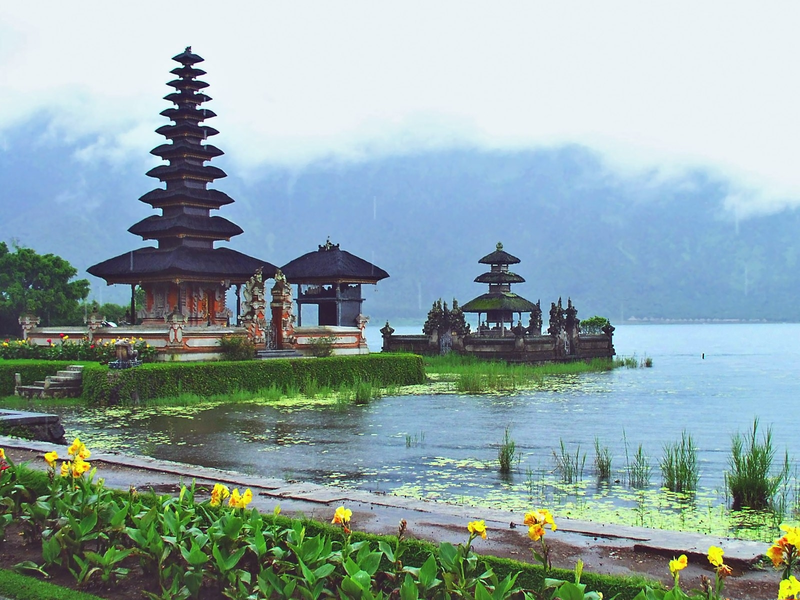 We also combine this package with visiting the most famous temple in north of Bali named Ulun Danu Beratan Temple , this temple look floating on the lake. We will take you to this places after or before the trek start. 10.00 am - Start our Walking Tour, firstly we will go down follow more than hundren stair till we arrive at first temple, named Ulun Danu Tamblingan, Our guide will share a bit information about this temple for you before we entering the jungle. 11.45 am - We arrive at Dalem Temple where we can see amazing view of tambingan lake while we take a rest for a few minutes. and then we will crossing tamblingan lake by traditional dugout canoe to finishing point where we can see the biggest temple in this are also where our driver waiting for you. 13.00 pm - Continue for lunch at Local Twin Lake local restaurant. Mount Agung or Gunung Agung is a biggest mountain in Bali. Trekking / climbing to Mt. 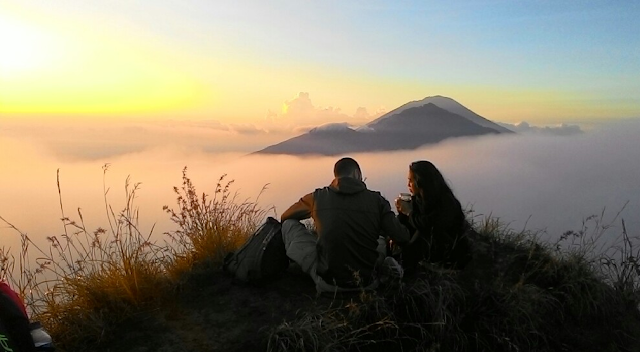 Agung is one of best Bali trekking adventure. 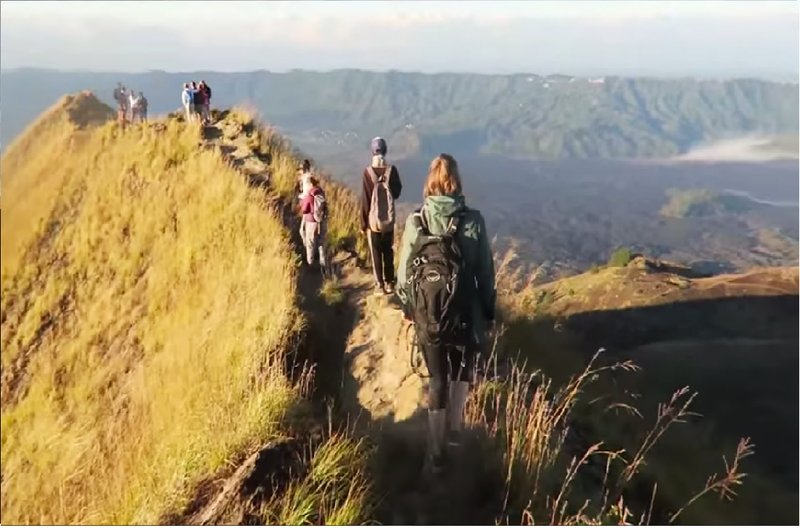 If you are looking for the real Bali adventure and more challenging tour program this trekking is good for you. Prepare your stamina before choosing this program, because our driver will pick you at your hotel lobby arount 11.00 PM and then we will drive to Besakih area to the bottom of mount Agung, The Pasar Agung temple starting point, and we will start climbing arount 02.00 AM. Our experience professional climbing guide will always contiguous with you. 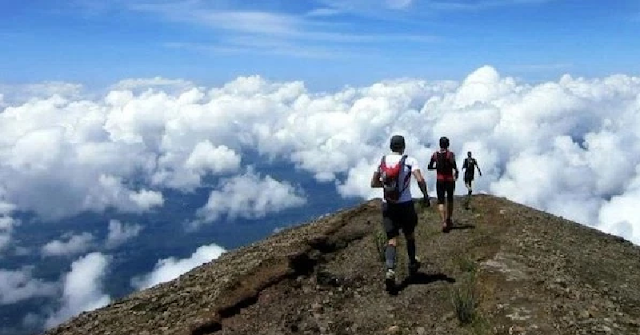 From the climb starting point to the top of mountain is about 1.100 m or need 4 until 5 hours to the top of Mount Agung. When we arrive at the top of Mount agung we can take a rest and get Breakfast box while enjoy the beautiful sunrise and see Bali island from bird eye view. In clear weather we can see the beautiful sunrise with silhouette of Mt. Rinjani in Lombok island. In the way back to the bottom of the mountain we can enjoy the fresh breeze and bird singing. Arrive at Pasar Agung temple the driver is ready to pick up you back to your hotel. You will be picked up by our air conditioned vehicle in the late evening. The timing will depend on where you are staying: 10.30 PM in Nusa Dua, 11.30 PM in Ubud, Lovina, Kuta and Sanur, or 12 AM midnight in Candidasa. • 1:30-1:45 AM: welcome, introduction and safety procedure briefing by our English-Indonesian speaking trekking guide. • 1:45 AM: start of our ascend. • 6:00 AM: arrival at the summit point. Enjoying the beautiful sunrise while enjoying a healthy breakfast and some refreshments provided by us. • 7:30 AM: descend back to our starting point at the Pasar Agung Temple. • 11:00-11:15 AM: arrival at the finishing point and boarding onto the bus. • 13:15-13:30 PM: boarding the bus and back to hotel.